The new China Glaze Texture Collection is so vibrant, and just in time for summer! How cute is this? I love the colours chosen for the "aged-paper" backdrop. Orly's 'Robo Romance' makes a wonderful canvas for these pretty lace french tips. What a cutie! 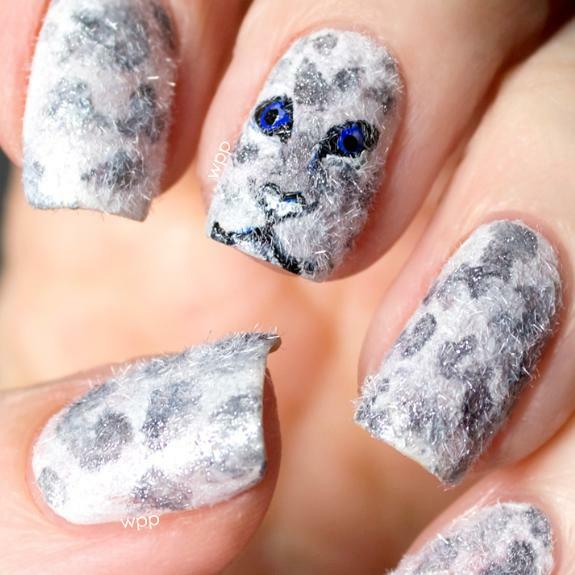 The velvet powder really makes this adorable mani pop. 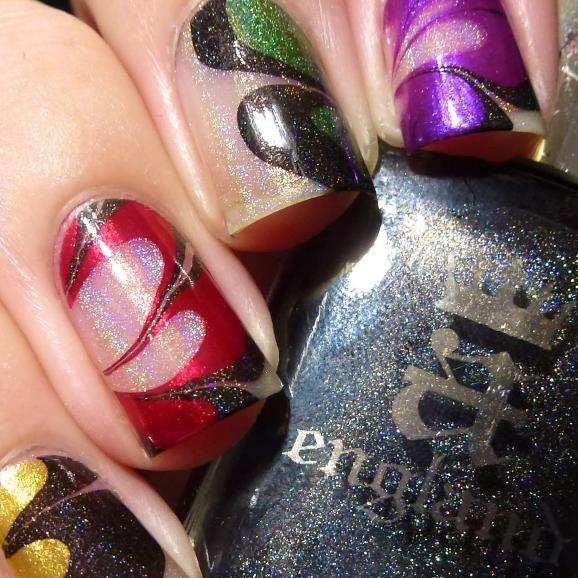 Nubar's My Sweet Escape Collection is full of wonderfully bright and summery shades just like this one. Here's Indian Ocean by Model's Own (a personal favourite!) layered over a black creme. More texture! 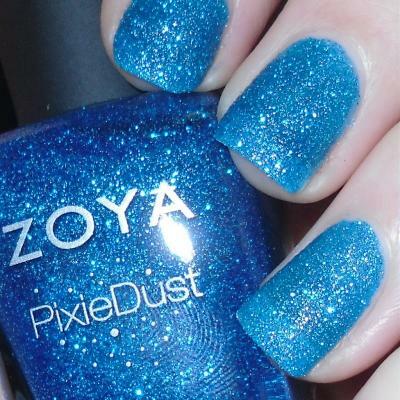 Zoya's Summer Pixie Dust collection is coming in just a couple short weeks. 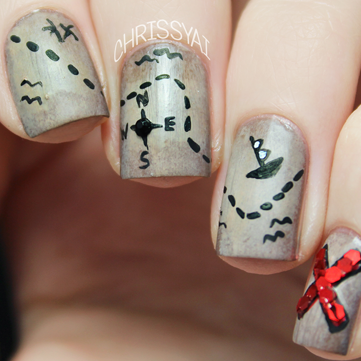 If you haven't tried A England yet, maybe this swatch will inspire you. From left to right: Holy Grail, Perceval, Dragon, and Avalon.